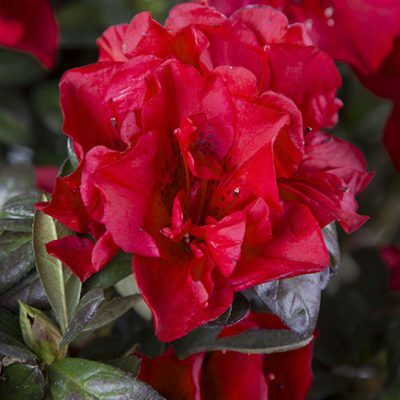 Small flowers appear in great profusion in fall on this compact conical camellia. These brilliant blooms are semi-double white to blush with orchid-pink highlights. Excellent for smaller areas. 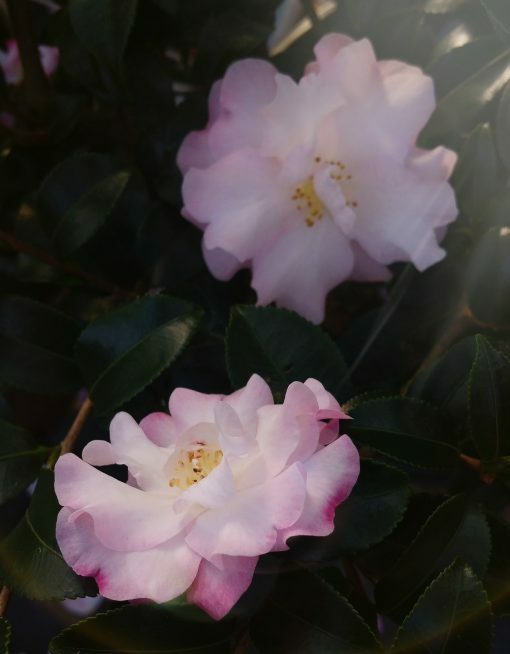 Sometimes referred to as Christmas Camellias, the sasanqua varieties of Camellia are native to the evergreen, coastal forests of southern Japan. Introduced by Dutch traders into Europe in 1869.The Japanese use the leaves of Camellia sasanqua to make tea, and the seeds are pressed into tea seed oil for use as a lubricant and in cooking and cosmetics. 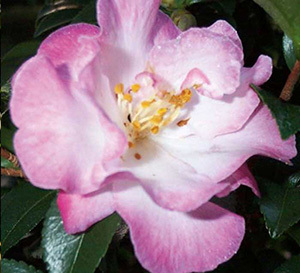 Where winter hardy, Camellia sasanqua should be grown in moist, acidic (5.5 to 6.5 pH), loose, organically rich, well-drained soils in part shade. Consistent and even moisture is important. Avoid wet soils. Plants require protection from direct afternoon sun and wind. Best location may be sun-dappled part shade. Best with a root mulch. Near the northern parts of their growing range, plants should be sited in sheltered and protected microclimates such as near the south side of a home or building. Burlap wraps are sometimes helpful. 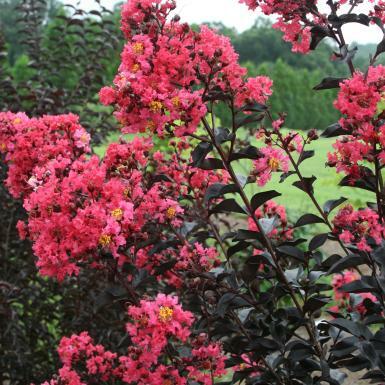 Plants generally dislike changes in temperature, irregular watering or being moved. 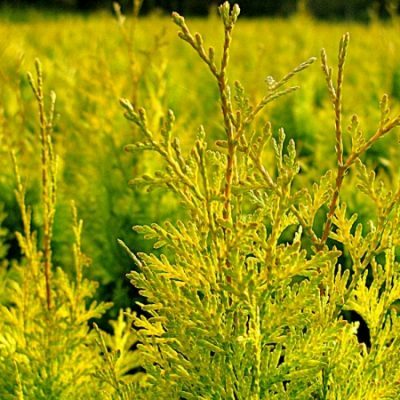 Even a change in humidity can cause plants to drop buds. Fertilize monthly in spring and summer. If desired, remove all but one bud from each cluster to increase the size of the flower. Prune immediately after flowering.